Genesis10 attends career fairs. 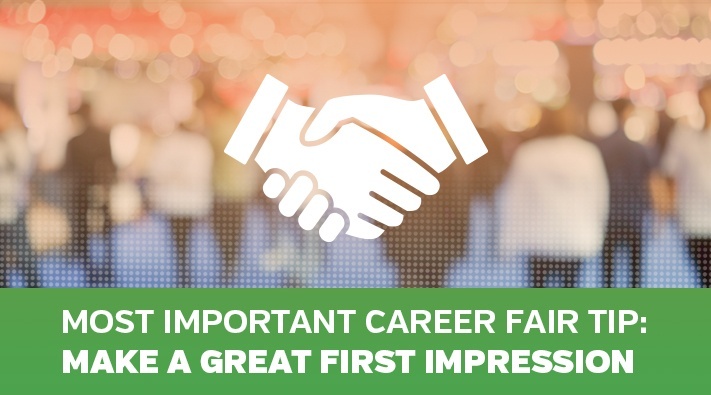 Career fairs provide an opportunity to make an impression in a way that a resume cannot. You are able to make face-to-face connections with recruiters who will make the hiring decisions for their companies. When meeting a recruiter, you want to stand out – for positive reasons of course. Based on our experience, we have come up with some helpful tips on how to make a great first impression at your next career fair. Bring your resume. Most employers want to have a brief conversation with you about your background, and your resume is a crucial part of that conversation! Make sure it is accurate and professional. If you do not have work experience or internships, make sure you add school projects and campus involvement to your resume. Sign up for on-campus interviews if offered. Many organizations will host next-day interviews or even same-day interviews. If you are really interested in the company, ask the recruiter if they are hosting either. It shows your immediate interest and puts you to the front of the line. Be respectful and courteous. The Career Center at the University of California—Berkeley puts together a comprehensive list of its own tips for its students. We love this one that offers a quick reminder to be respective of the employers participating in the career fair and your fellow job seekers: “Demonstrate sensitivity to others waiting to speak with employers by keeping your questions brief and offering to continue your conversation at a later time." It also exhorts: "Enjoy the fair and your interaction with the employers. Let your positive attitude show!” We couldn't agree more. Also see these Career Advice blogs: Job Search Advice for the Class of 2018 and Manage your LinkedIn Profile to Career Success. Subscribe to the Genesis10 blog to continue the conversation.